I’m a bonafide soccer fanatic and a loyal fan of the FIFA series. Having set up those credentials, I can’t quite put my finger on what is off target with this year’s annual installment. 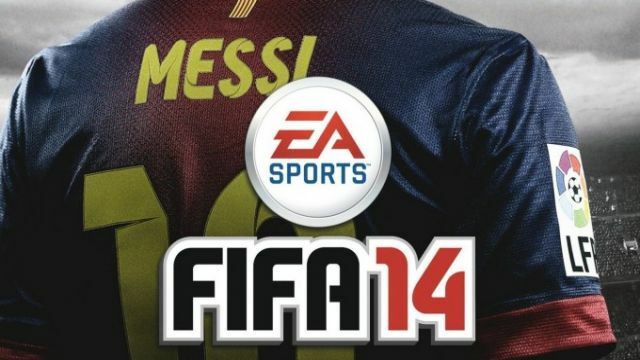 Don’t get me wrong, FIFA 14 is a fantastic soccer sim that I’ll be playing until this time next year (as I do every year). Maybe my reticence is because the last couple of versions were astonishing in what was new, and this year’s edition doesn’t take any major leaps forward. I have a funny feeling that a great deal of effort went into the next gen release in a couple of months while the current gen versions were given less attention. 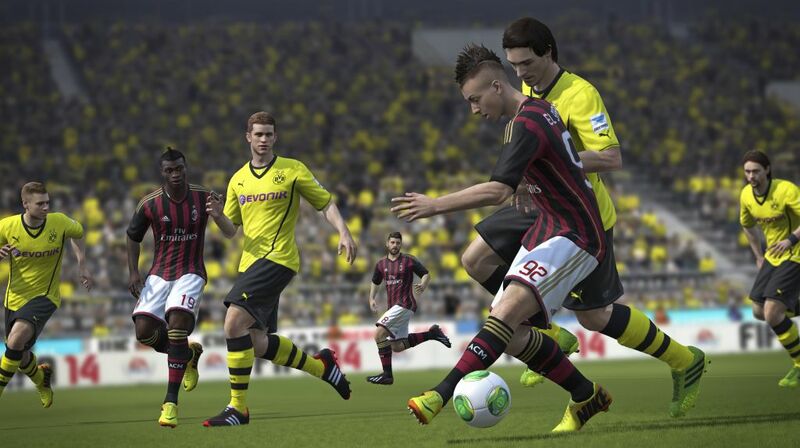 However, in the end, FIFA 14 does a great job of polishing all the improvements of recent versions and is worth your time yet again this year. The newly touted “Ignite Engine” is the new physics engine. 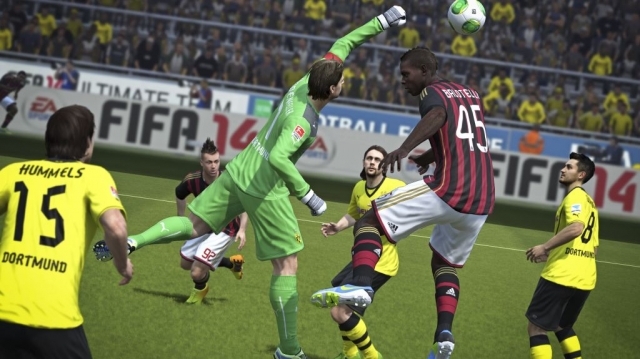 Players plant their feet, pivot, cut, and push off more realistically than ever before. This is thanks to a bunch of new animations that look fluid and feel more realistic on the ball, in collisions, and off the ball. Because there are more options, they are therefore repeated less often, which naturally gives a more flexible and natural appearance to the action. Of course, they are all situational as well. The way that players accelerate is much more realistic, especially with the ball at their feet. You can tell the difference when you get a speedy winger on the ball as opposed to a slow defender. Shooting seems more realistic this time around as well. It’s all about the context of the shot. 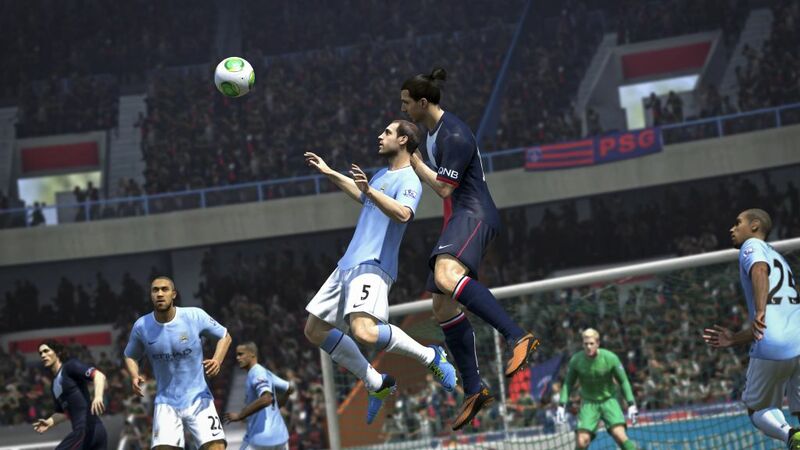 The ball will be effected far more by the balance of the player. Making solid contact is now essential, so the player animation combined with stats have a more conditional outcome. If you’re off-balance or in traffic then scuffed shots are more frequent, but when you really get a hold of one it will dip and move, just like in real life. Scoring that perfect strike has gotten me into trouble more than once with my wife (here’s a hint, I react the same way when my team does it on TV). Maybe it’s just me, but passing seems to take longer this year. Passes don’t seem as crisp as they should and one-twos take too long to develop. This can result in that terrible feeling of missed opportunities, especially on through balls. And while the AI of your teammates is improved, I’ve still found myself muttering about the ball not going to my intended target. I was trying to pass it to the guy closest to me, not the guy forty yards away with multiple defenders in the way! Skill moves are now accomplished with the right stick alone, rather than having to hold down the left trigger to activate it. This makes things much easier on the fly as sometimes that extra split-second touch can now be done with a flick of your thumb. Another big improvement is that the aforementioned left trigger has been freed up to allow you to shield the ball against defenders; a welcome addition. Playing on the wings now feels more realistic as you can hold up play and wait for help. I found that, in the middle of the park, shielding the ball allowed my players to get back into position. It doesn’t sound like a lot, but watch the pros and they do the same thing. Ally AI has improved, with players picking out through balls or lobbing them over the top to charging forwards to great effect, but the biggest improvement is their movement off the ball. 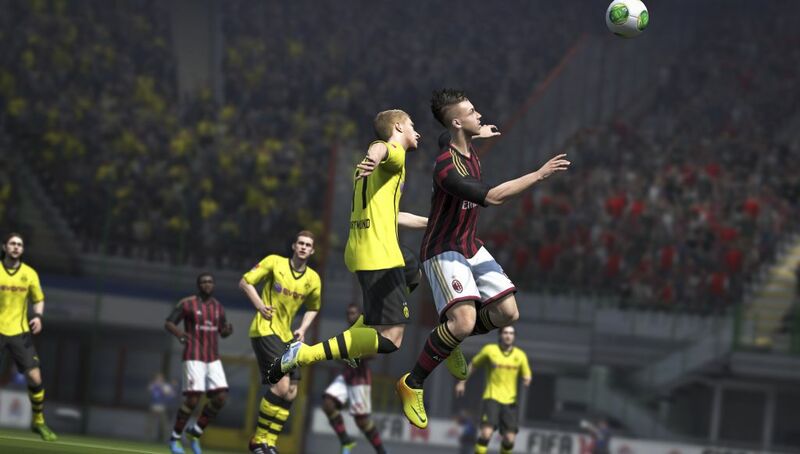 Teammates find space more realistically, running into open areas between opponents. As my old soccer coach used to say, play the ball to where he is going to be, not where he is! One nice touch worth mentioning is a host of new mini-games to play while the game is loading. However, a word of warning: they can be a bit of a trial at times. Some of them are surprisingly difficult. Also worth noting is “Match Flow.” This new system allows for quick free kicks and throw-ins without stopping rather than resetting the entire pitch. It works well, speeding up the game just as in real life. Finally, menus have undergone an overhaul, being much more friendly to the eye and easier to navigate. Everything is far easier to find now, and things like navigating the transfer market don’t give you a headache. 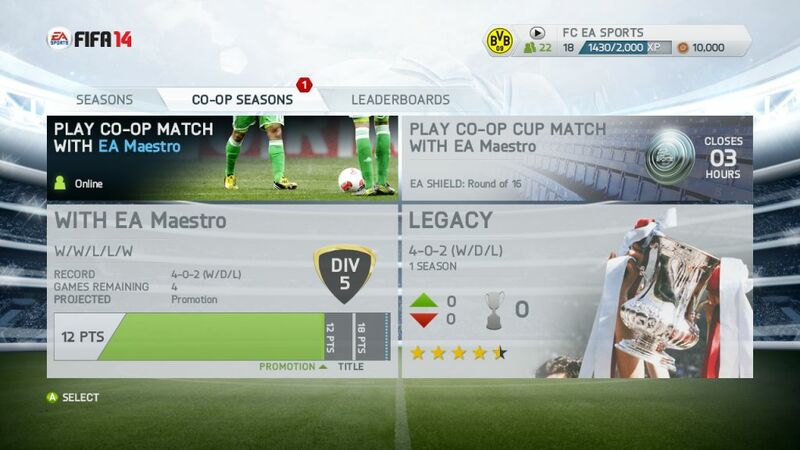 Ultimate Team is back, now with a smoother interface. It’s still just as addictive and fun as your remember if it’s your cup of tea. 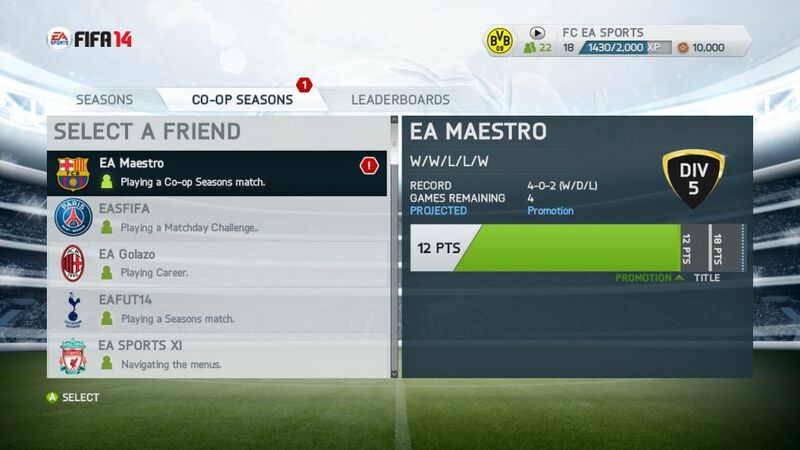 Ultimate Team now has “Chemistry Styles” which allow you to group players together by play style rather than position. It adds a great deal of depth along with RPG elements to the proceedings. For example, players from the same team or same country will have improved chemistry, granting them a boost. It’s sometimes difficult to see how this actually affects the play on the field, but it’s a nice touch nonetheless. Despite the passing issue there are a few other small problems that are noticeable. The broadcasting seems to be getting stale. A lot of the commentary was repeated before too long, although I like how they do a good job of discussing the performance of your team in previous matches. The graphics aren’t any better than they have been; no surprise there. FIFA 14 doesn’t take any major leaps forward, instead focusing on fine-tuning the major innovations the series has taken in the last couple of years. 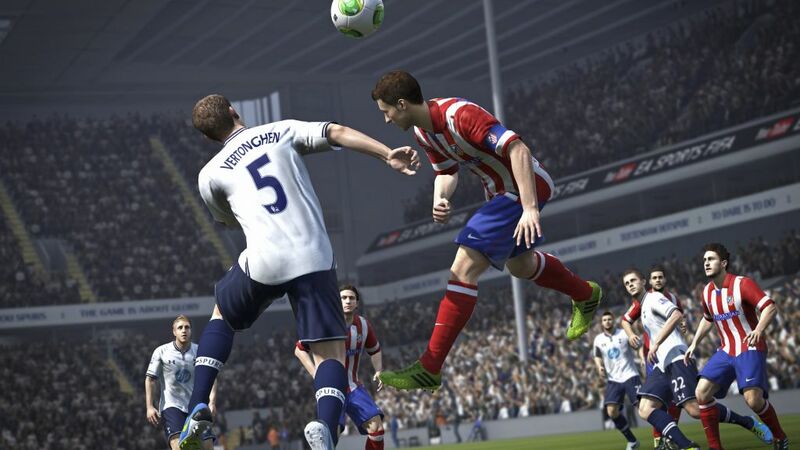 Improved animations and physics lead to a more fluid and realistic looking experience on the pitch, more akin to the real thing than we have ever seen. 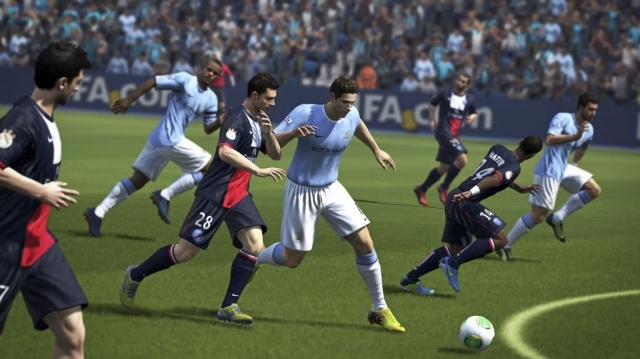 Sure there are still some problems, there always will be, but FIFA 14 proves the franchise is still going strong even without any drastic changes. I, for one, can’t wait to see how it plays on the new generation of consoles. Stay tuned, I’ll let you know! 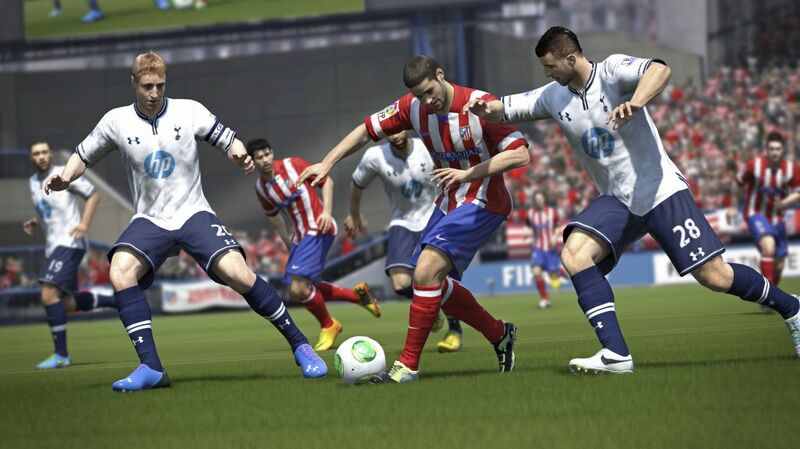 This review is based on a retail copy of FIFA 14 for the PlayStation 3 provided by Electronic Arts.